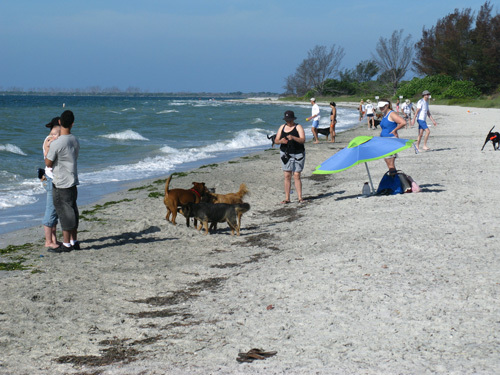 The Fort DeSoto Dog Beach is hugely popular with dog owners who visit Ft De Soto Park. The dog beach is connected to Paws Playground, which provides pups a chance to romp and chase on grass as well. 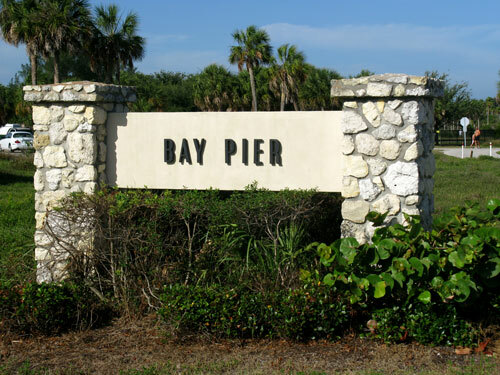 Located on the southern-most tip of Tierra Verde, St. Petersburg residents love the secluded beach that gives them a view of the Sunshine Skyway Bridge and huge tankers moving into and out of the Gulf. 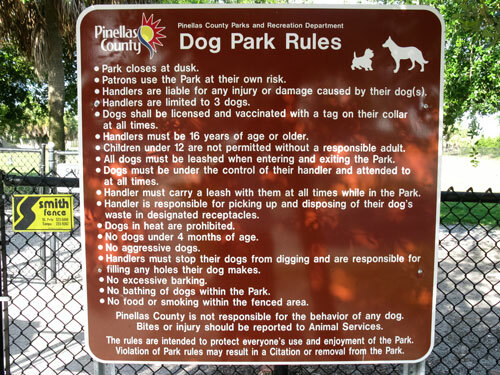 Fort De Soto's Paw Playground was recently listed in the Top 5 U.S. Dog Parks by Southern Living Magazine, and well it should be. 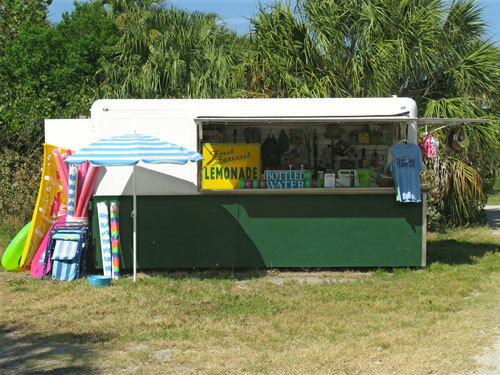 With the beautiful stretch of Florida beach opposite a grassy area of 3 acres (divided into fenced sections for both small and large dogs,) Paw Playground has doggie showers, plastic doo bags, and water fountains for both dogs and owners. Just so you know, the Bay Pier parking lot gets very crowded on weekends, so if you want to checkout the dog beach without a lot of hoopla, Tuesdays and Wednesdays would probably be your best bet. The Bay Pier sign is your landmark for parking. 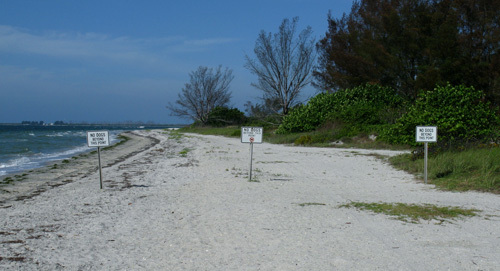 The dog beach crowd shares this lot with visitors who wish to take the Egmont Key Ferry out to the park on Egmont Key. Just opposite the Bay Pier sign, you'll see one directing you to make the next left into the parking lot. Just west of the parking lot, you'll find the fenced-in area of the Paws Playground. Please make sure you are familiar with the rules. Residents are VERY protective of this beautiful area, and they will not hesitate to call the Ranger on their cell phone. 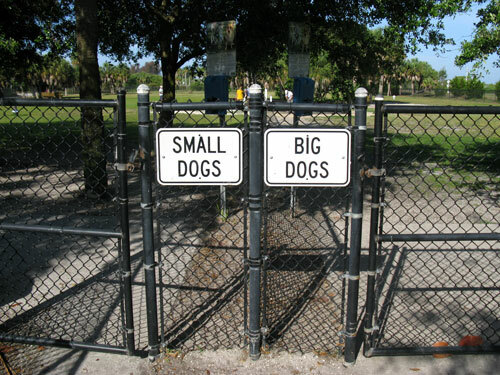 The Ft DeSoto Park Paws Playground is divided into two separate areas for dogs, by size. Dog owners love this feature and said this is not the norm in other states. The "cooling stations" provide sprays to helps dogs cool down and to wash the sand out of their fur. (Please note: You may NOT use soap or shampoo in this area.) There are also drinking fountains for pet owners. 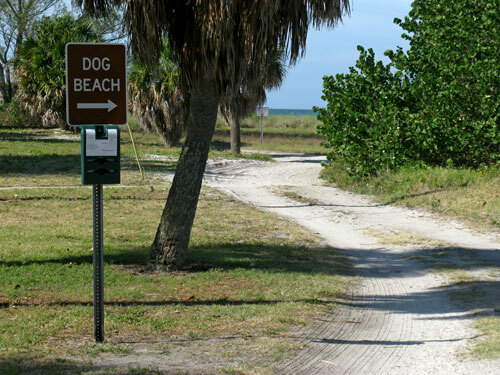 The path to the Fort DeSoto Dog Beach runs along the south side of Paws Playground. 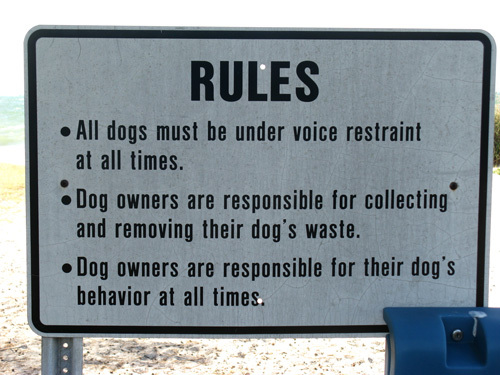 Since dogs are unleashed in this area, please make sure yours has the behavior to participate. The dog beach can get pretty crowded at times on the weekend, however, animals and people seem to get along very well. PLEASE make sure you "pick up" after your dog. The dog beach boundaries are marked in both directions. There is plenty of room. Lots of dogs like to chase chew toys into the surf. They were having a blast when I was there. Please note: More experienced owners bring a plastic bowl and seperate water jug for their pets. Dogs can get very thirsty running on the beach and swimming in the salt water. 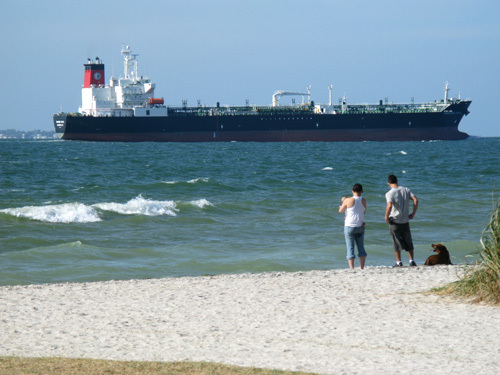 Huge tankers pass by the Fort DeSoto Dog Beach. They can cause very large waves. 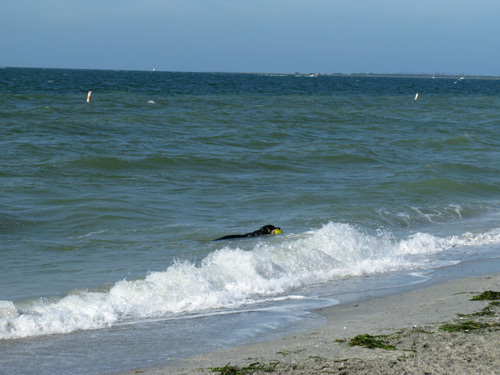 If your pet is not a good swimmer, you might wait a few minutes until the Gulf calms down before throwing his toy back out in water. 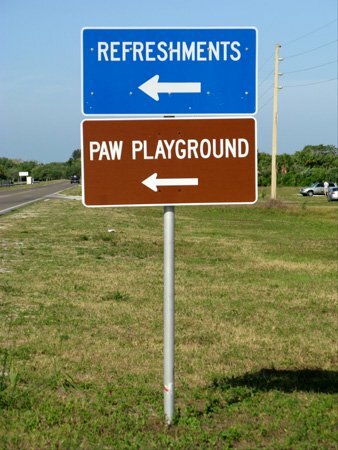 The Paws Playground and Fort DeSoto Dog Beach are largely supported by volunteers and donations. 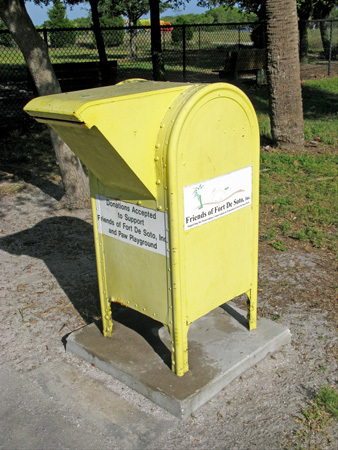 The Friends of Fort DeSoto spend over $5000 annually for plastic doo bags, alone. If possible, please slip a dollar or two into the donation box as you leave. I hope you and your dog enjoy this beautiful area as much as I did.